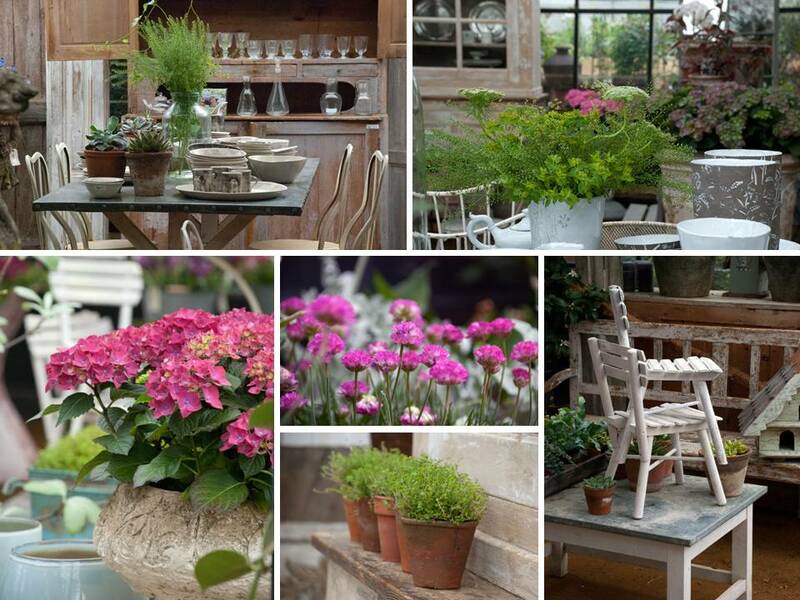 Last week Rona Wheeldon and I went along to the preview evening at The Garden Shop at Petersham Nurseries. 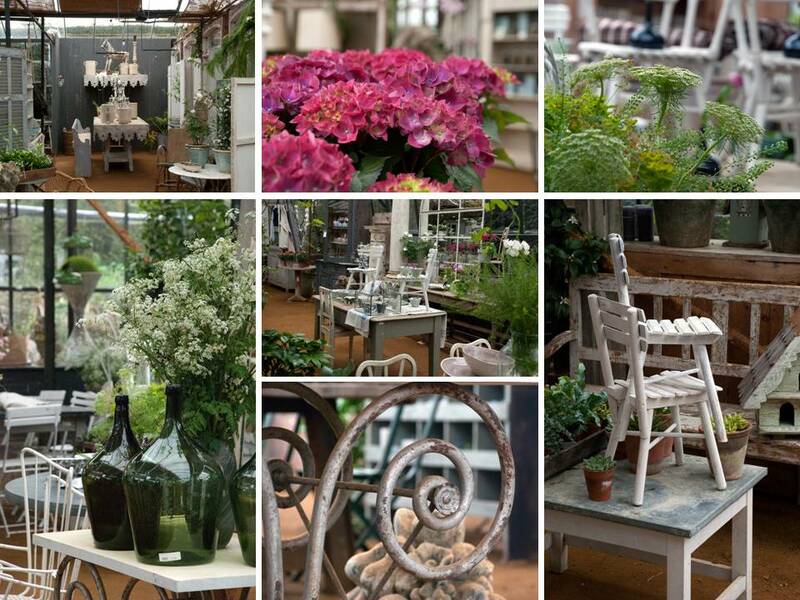 The Garden Shop is the new retail space that is designed exclusively for gardeners and is full of gorgeous plants and stylish garden accessories. We arrived a little early so that we had chance to take some photographs – a brilliant place to hone the skills we’d learned with Clive Nichols a week or so ago! 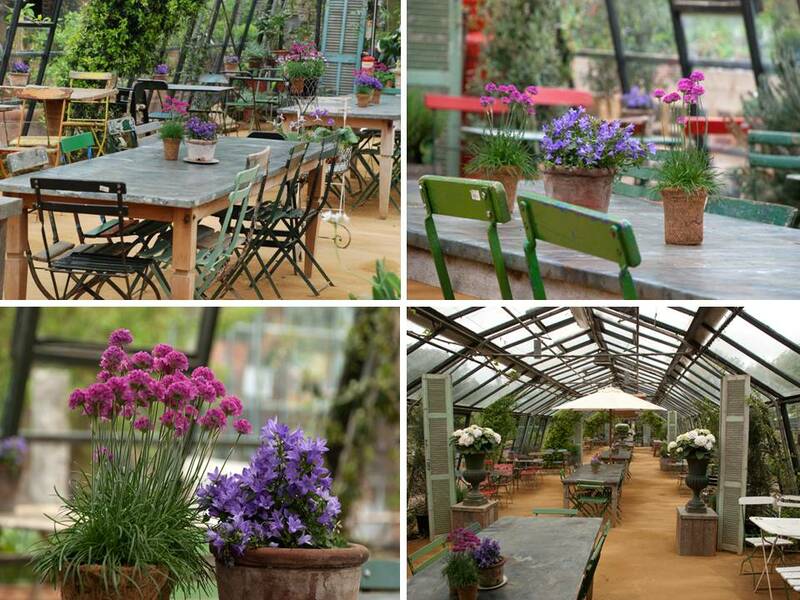 If you haven’t visited Petersham Nurseries before then you don’t know what you’re missing. When you walk in through the gates you feel like a child in a sweetshop, every square inch has been thought about and stylised – it’s just gorgeous. The gift shop is full of beautiful home accessories; furniture, vases, mirrors…I could spend hours drooling over them! If you’re not particularly interested in the gift shop then it’s enough to visit just for a cup of coffee and slice of the wonderful cakes they serve at The Teahouse cafe there. Rona and I were very disappointed to arrive after it had shut only to realise later that they were serving cake at the evening reception – yum! The reason we were there of course was to see The Garden Shop which is now officially open and is solely dedicated to gardening activities. 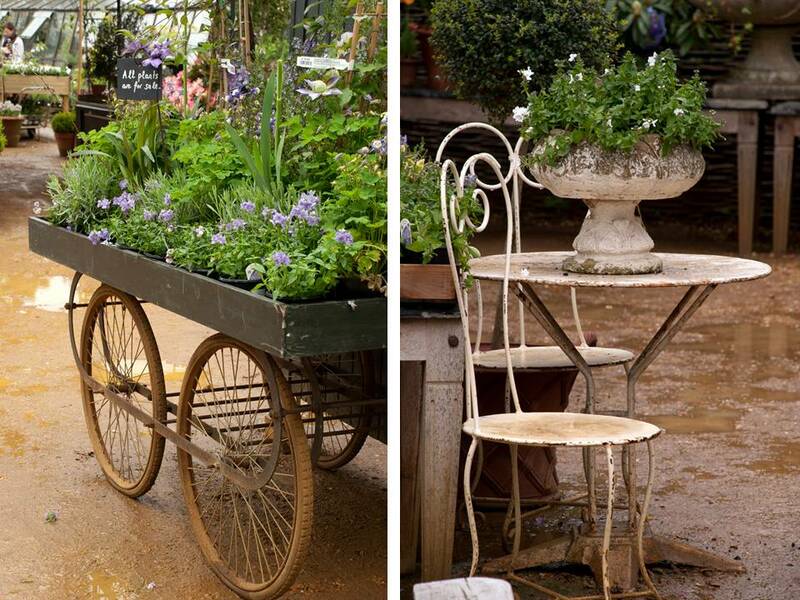 From plants to tools, from clothing to pots, they sell most things for the gardener with the classy elegance that you’d expect from Petersham Nurseries. The evening was really enjoyable and we spent time talking to some of the horticultural team. Tom Broom later gave a planting demonstration where he explained the importance of keeping pot displays simple and elegant. 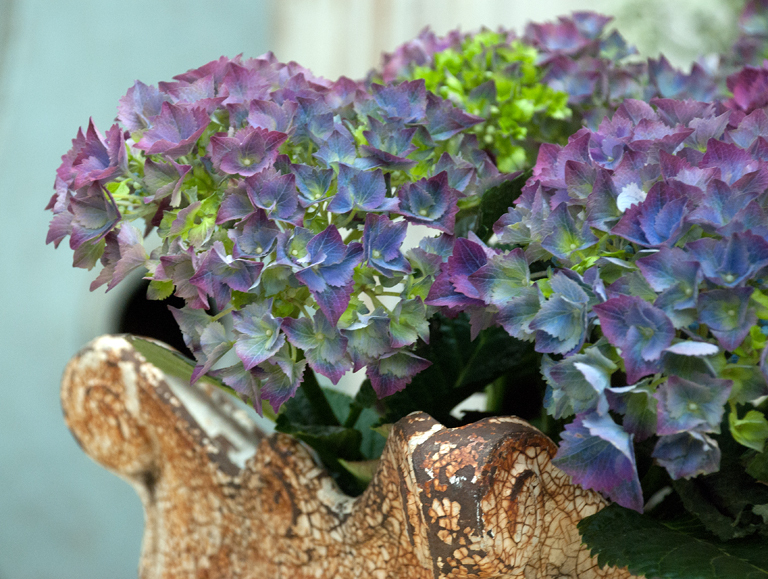 Using one plant can be much more impactful than using a collection of plants. The Garden Shop offers a bespoke planting service which enables customers to choose their plants and pot and have it planted up. 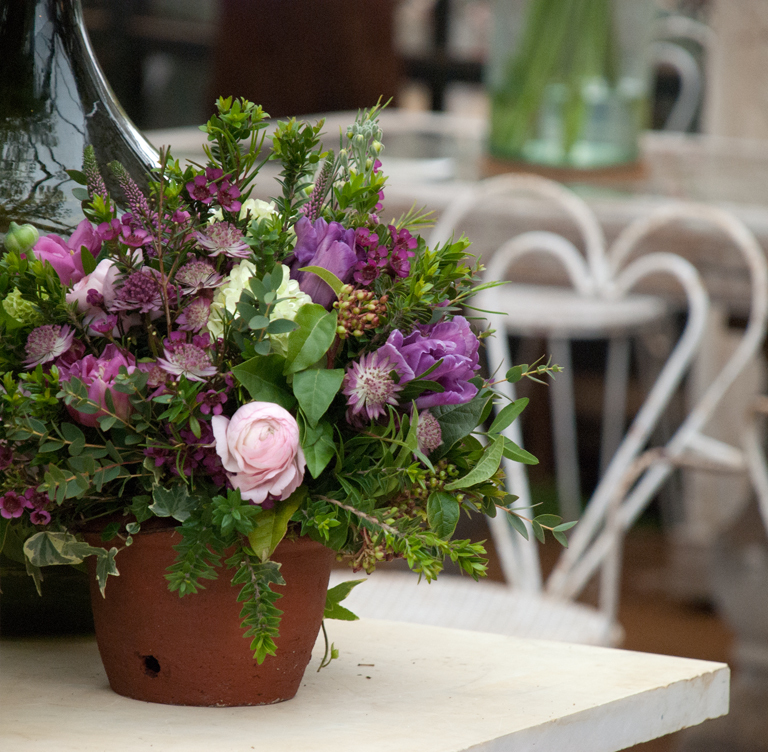 Alternatively, customers can bring their own containers to be planted – they’ll even delivery and wrap if you’d like to send one as a gift. The knowledgeable staff couldn’t have made us feel more welcome and they are on hand to answer any gardening questions you have. 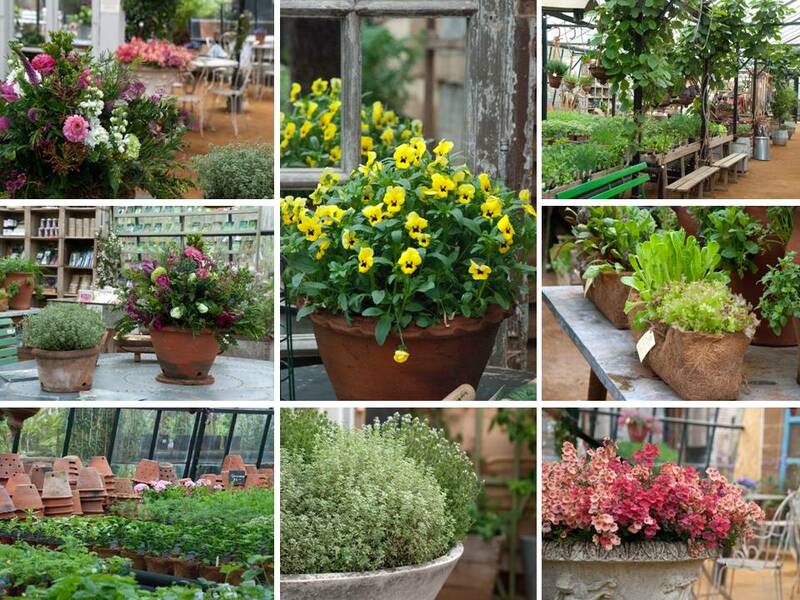 Much of the plant stock there is home grown at Petersham nurseries and they pride themselves on sustainable growing. They only use recyled plastic or organic, biodegradable coir pots and use peat-free compost. Do pop in and have a look if you’re in the area, you certainly won’t be disappointed!